Forest Mews was a finalist in the Grand Designs Best New Houses Awards 2014 and was featured as one of the seven best houses in the country by the Sunday Times. 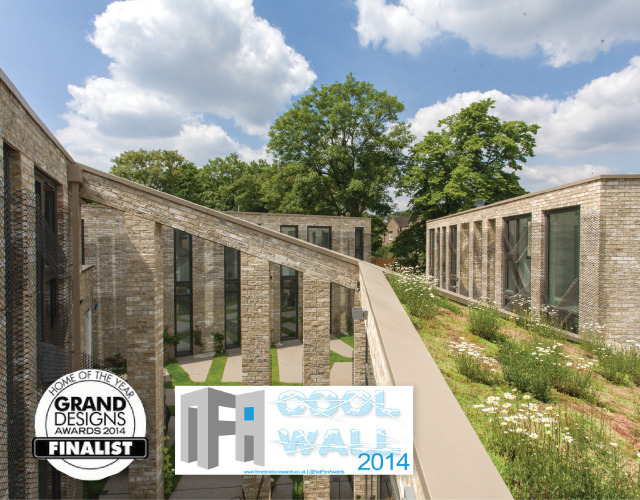 It has also just scooped the Fenestration Awards – Cool Wall, this month. Jessica Barker, the wife of director Robert Barker and co-designer of Forest Mews, presented the award-winning development at Grand Designs Live to a packed crowd. George Clarke, who interviewed Jessica, said he thought it was absolutely beautiful and will go on to win many awards. This would be a great recognition of the care and attention put into this wonderful project and showcase for how good architecture can really add value to development. Baca is already working on plans for a similar mews development in Fulham.